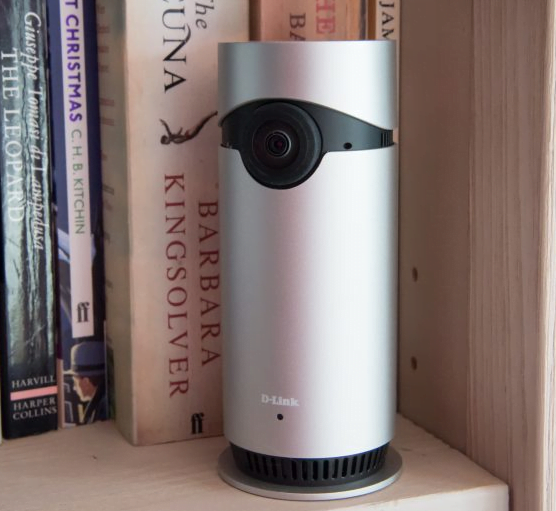 D-Link Omna 180 Cam HD – This all-in-one home-security camera works with Apple HomeKit, which is significant because very little else does. This means iPhone and iPad users can control it from the Home app and link its features to other HomeKit accessories: for example, if you have Philips Hue lighting, you can set selected lights to come on when the motion detector is triggered. You can also watch a live feed from the camera within the Home app, but to set up the Omna and access other features, (such as watching recorded video), you’ll need the Omna app, which is also available for Android. The tin-can-sized aluminium cylinder takes mains power through a micro USB adapter and is for indoor use only. It shoots at 1080p Full HD, and when watching the live view – which can also be streamed to an Apple TV, if you have one – everything looks very sharp and clear. which remains clear enough to identify faces within a reasonable distance. There’s also a speaker in the camera, so if you do see a burglar or next door’s pesky cat you can yell at them. As with similar cameras, the idea is that you set up motion detection – zones and sensitivity can be defined to avoid false alarms – and any movement will then start it recording. Of course, you can also turn motion detection off when you’re in the house, but if you have HomeKit events set up, they ignore this and trigger anyway. This isn’t one of those cameras that saves footage online (in the ‘cloud’). Instead, there’s a slot for a microSD card, on to which footage is saved at a compressed 720p resolution. That saves space, but we’d have liked the option to save Full HD. You can take the card out to transfer recordings to a PC if necessary.